Tony Crossley specializes in the sale of downtown San Francisco commercial properties and development land. Tony has been with Colliers International for the past 23 years and has been a downtown San Francisco investment specialist for the past 33 years. 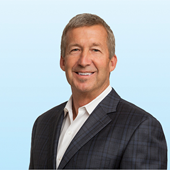 Tony is consistently a top-producing broker at Colliers International USA. Tony has completed over $4 billion in commercial property sales and sold in excess of 300 downtown San Francisco properties over the past 30 years. In the range of $10 to $100 million, Tony has sold more investment properties in downtown San Francisco than any other single broker. Tony also specializes in the sale of residential and commercial development sites in the City, including many of San Francisco's iconic new developments. Clients have included BlackRock, Crescent Heights, The Lionstone Group, The Blackstone Group, Prudential Real Estate Investors, Tishman Speyer, Bank of America, Wells Fargo Bank, and Rockpoint Capital. Tony graduated as a Chartered Surveyor in 1983 and graduated with a BSC honors degree in real estate from the University of Reading in England in 1981. Reading is recognized as one of the leading real estate schools in the world. Tim Maas, Executive Vice President, has been directly involved in the sale of commercial buildings in downtown San Francisco since 1986. Tim’s primary focus is in the sale of investment transactions in the San Francisco Bay Area. He joined Colliers International in 2003 after having spent the previous 13 years with GVA Whitney Cressman as head of its investment division and national practice. He is a member of Colliers Asset Resolutions Team (“CART”), an affiliation of 200 Colliers International investment and leasing professionals representing the trillion dollar CMBS market. In his 27 year career, Tim has represented landlords on more than three million square feet of agency assignments and has sold over 300 commercial properties for a value exceeding $3 Billion. Clients have included private investors, family trusts, REITS, institutional investors, and corporations. With 35 years of commercial real estate brokerage experience in San Francisco, Frank is consistently one of Colliers International’s top Investment brokers. His sales expertise includes the adaptive re-use of land and commercial properties in San Francisco’s diverse South of Market (“SOMA”) neighborhood, wherein Frank has considerable knowledge of the myriad of zoning and land use issues that affect property value and developability. He has participated in over 350 transactions with an aggregate value of $2.7 billion. Darren’s primary focus is on the analysis, underwriting, marketing and sale of commercial properties and residential and office development land in downtown San Francisco. 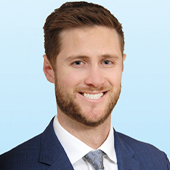 Will started his commercial real estate career in 2012, and joined the Colliers International San Francisco Investment Services Group in March 2016. Focusing on existing commercial properties and development sites, his responsibilities include underwriting, due diligence management, and market analysis.